Tracey is passionate about supporting initiatives to combat gender-based violence. She has signed the Bristol Zero Tolerance Campaign pledge, an initiative set up by Bristol Women’s Commission working towards Bristol becoming a city free from gender-based violence, abuse, harassment and exploitation. Prior to its closure, she was Vice Chair of Survive, a domestic abuse charity supporting women and children in South Glos. She is currently a Trustee for Staple Hill Community Hub, which aims to improve quality of life for people living in a priority neighbourhood in South Glos. 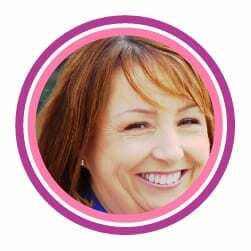 Tracey is an HR professional, who trades as HR Services Bristol and specialises in advising and supporting employers with a social cause. Having gained two management qualifications and experience of working in a variety of sectors, she now combines consultancy work with the delivery of people management training and coaching to managers. Since 2016 she has been an Associate with CVS South Gloucestershire, the umbrella body that informs, supports and advocates for voluntary, charity and social enterprise organisations. She rolled out a community HR service in partnership with CVS early in 2018. Born in Bristol, Tracey now lives in Downend, South Gloucestershire with her husband. She has two daughters, the eldest of which lives, works and studies in Gloucester.